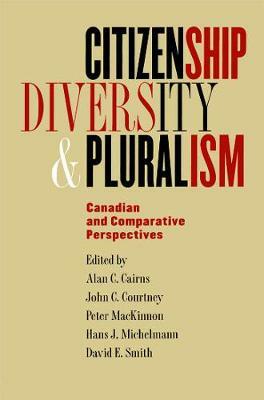 In Citizenship, Diversity, and Pluralism leading scholars assess the transformation of these two dimensions of citizenship in increasingly diverse and plural modern societies, both in Canada and internationally. Subjects addressed include the changing ethnic demography of states, social citizenship, multiculturalism, feminist perspectives on citizenship, aboriginal nationalism, identity politics, and the internationalization of human rights. Contributors include Heribert Adam (Simon Fraser), Keith Banting (Queen's), Anthony Birch (emeritus, Victoria), John Borrows (UBC), Alan Cairns, Walker Connor (Trinity College), John Erik Fossum (LOS?Senteret, Norway), Virginia Leary (emeritus, SUNY), Denise Reaume (Toronto), Lynn Smith (justice, BC Supreme Court), Charles Taylor (emeritus, McGill), and Jeremy Webber (Sydney, Australia).